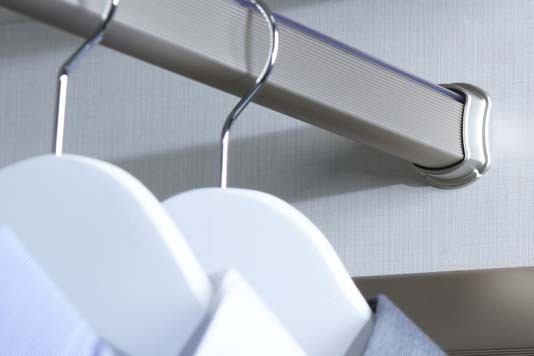 The ELITE Valet Pin’s compact size allows it to be incorporated into almost any closet design, and the Pin retracts neatly back into the partition when not in use. Multiple Valet Pins can be installed along a single fixed shelf. 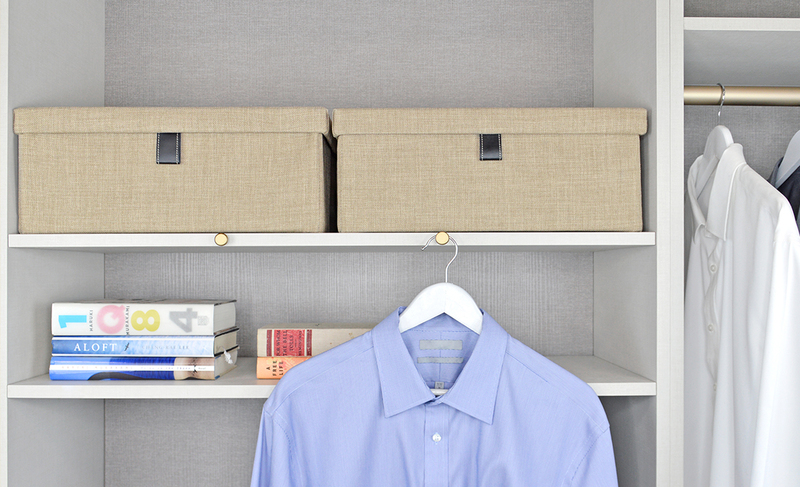 This provides more space for planning outfits, and works especially well when used in conjunction with a standard ELITE Valet: hang a heavier suit on the standard valet, and shirts, ties, and other accessories from several valet pins installed along the shelves. 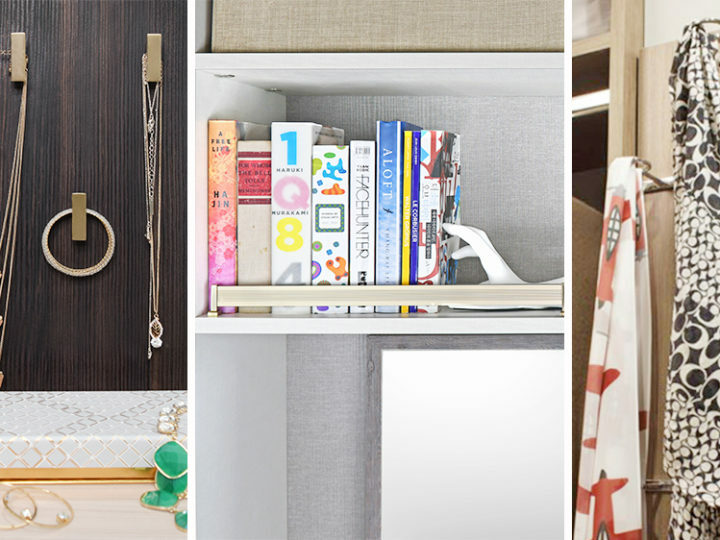 Go beyond the closet and use the Valet Pin into other space where you might want to add storage. 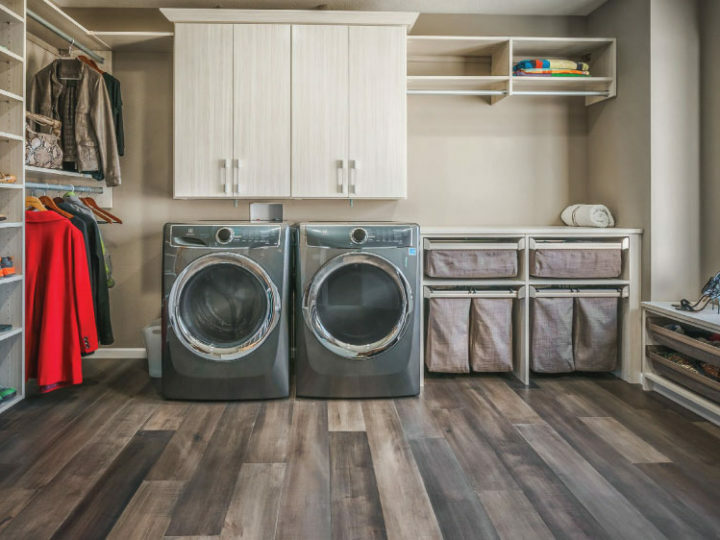 The versatile accessory can be added to entryways and mudrooms to create places for hanging keys, dry-cleaning, or kids’ coats. Include them in the pantry or kitchen to create a place to hang aprons or reusable shopping bags, or pop one in an office shelf to make the perfect headphone hanger. TAG Hardware also offers a highly-recommended Mount Jig which ensures a precise and easy installation every time. The jig allows the installer to quickly and accurately drill centered 11/32” diameter holes to the exact 4″ depth for the ELITE Valet Pin; no fuss, no muss. Once the hole is drilled, just one tap of a mallet, and the Valet Pin is in. One of the top tips we have from and for designers is to include a few ELITE Valet Pins with each installation as a way for you (and/or your install team) to surprise and delight your homeowner customer. When walking through a nearly-finished install, ask the homeowner where (s)he would like the Valet Pins: pick the spots together, mount the jig, drill the holes, and pop them in. 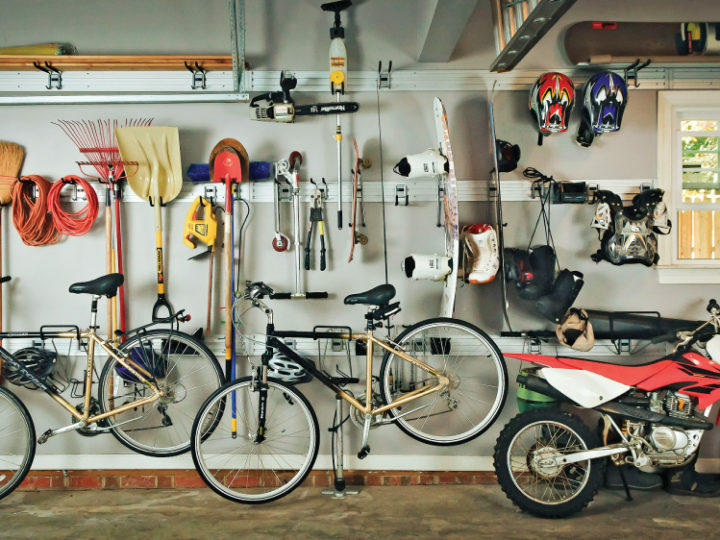 This way, you’ll have them positioned exactly perfectly, and if the homeowner didn’t know they were included, they can be a great thank-you bonus (or a recovery gift if the rest of the job hadn’t gone exactly to plan). Thanks for reading, and don’t forget to connect with us through your favourite social media channel to share your own ideas about how you use ELITE Valet Pins!